Buying stock shares. With less than 2 years of experience and not a great knowledge about share dealing, I have been making a good investment profit. 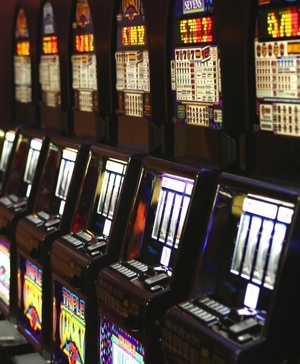 I’m not a gambler, I’m very careful with money. So I wanted to write a little guidance for complete beginners. 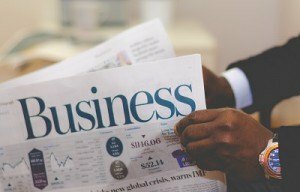 If you are thinking about buying a stock for the first time but have no idea how, please read on! invested UK£25,000 (=US$38,000) over 8-10 companies. earned £8,000 (=$12,000) so far. The net total profit therefore has come to $10k within 2 years. Please note; there is a great chance to make profits from share trading, but there’s no magic here. And this is just how I’ve worked out myself in a short period. So if you are a veteran reading this and have any good advice, objections or any other comments, please leave a comment. I’d appreciate it! What’s the difference between “Stocks” and “Shares”? Same thing, broadly. You also say “I buy interest in a company.” A “share” is used as a unit. For example ABC Company’s current value is $1.50 per share, I bought 3,000 shares, paid $1.50 x 3,000 = $4,500. Meaning “I bought a stock in ABC Company”. When a company’s value is, say $10 per share, you want to buy 100 of them, so you pay $1,000. The company is performing well and the value has now gone up to $14. Now you sell your 100 shares back to the company, and receive $1,400. So you’ve made a profit of $400. Wait until the price goes back up to $10 or more again. But you never know, it might go down even more. If the company goes into liquidation you may lose all your $1,000. Sell your stock now to get $800 back. You’ve made a loss of $200 but learned a lesson. Next time you’ll find a better company to invest on, with better prospect of future growth hence better chance of the value increase. Before I started trading/investing, I had two questions in mind. How much should I invest? Can I start as little as £1,000 (US$1,500)? How about to keep buying & selling them on a daily/weekly basis? Buy some shares today and if the price goes up tomorrow, sell them straight to make a small profit? The answer is yes & possible. But I wouldn’t. Firstly it’s safer to buy “quoted shares”, known as “listed companies stock”, multi-billion companies listed in the stock market exchange (New York Stock Exchange, London Stock Exchange, NASDAQ etc). It’s safer because they are stable, less risky. But it also means their prices don’t go up & down too much. Secondly there are “Sell” rate and “Buy” rate – you must have seen the chart on the foreign exchange bureau shop window. Very similar logic. It’s a little bit more complicated than the example I gave above. A company’s share price is $10 (Sell) : $11 (Buy) you want to buy 100 of them, so you pay 100 x $11 = $1,100. Now you sell your 100 shares back to the company, and receive 100 x $12 = $1,200. So you’ve made a profit of $100. You see, if you buy now (100 x Buy rate $11 = $1,100) and sell in the next minute ($100 x Sell rate $10 = $1,000), you will immediately make a loss of $100. Thirdly, you will deal via a stockbroker and you pay a small fee ($15-$30) for every Buy transaction. So you don’t want to deal too often. And lastly, investing in companies involves a lot of searching to do. You need to make sure that you’re investing your money in a good company. Without the searching, it would be just a gambling. Searching takes time. By now you should see, as a beginner it’s not worth trading so frequently, let alone daily. And it’s not worth investing small amount such as $1,000, to earn just a few dollars, with a risk of losing a lot more. When you’ve bought the stock, you’ve become a shareholder. And you’ll receive a dividend usually twice a year as long as you’re holding the title at the time. A dividend is a percentage of the company’s profit, split by ALL the shares it holds. How much you receive really depends. If the company’s made millions of $$$’s, but there are thousands of other shareholders, then you may only receive a fraction of the profit. You can monitor the prices online, and deal online. So I’ll show you how. I reside in the UK and use a UK stockbroker, but I try to use universal terminology. Stockbrokers – Who Are They? 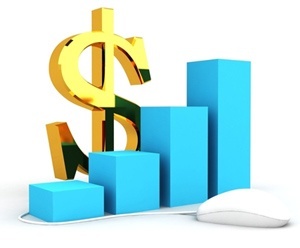 A stockbroker obtains the real-time price information and deals (buys & sells) on your behalf. So you need to register with them online. They’ll ask for your identification, obviously because you’re going to deal with large sums of money. On the stockbroker’s website, you should be able to monitor each company’s real-time share prices. I Googled and found Barclays Stockbrokers, decided to use their service, purely Barclays Bank is one of the largest, reputable banks in the UK. I just decided to go for the name. As I mentioned above, stockbrokers take a commission from you every time you buy (not when you sell). Barclays charge you a flat fee about £12 (US$18). There are some brokers who charge you much less, so it is up to you to search and find a reputable stockbroker. Where Do I Monitor Shares? I use http://www.advfn.com. It’s free. There’s a paid access area as well but the free-access area is good enough. All you need to do is to register and set your password first. You may be overwhelmed by so many menu buttons and ads in the beginning, but I’ll show you where to check. Also I use Excel or any spreadsheet, so that I can download a list of companies, sort and pick companies with potential prospects in the future. ADVFN monitors public companies’ performances, historical charts, issue news & alerts, lists each company’s portfolio in great detail. Upon registration, the site would have automatically detected the country of your residence. I’m in the UK therefore by default, I’ll see companies listed in London Stock Exchange. I would like to see some US companies….Disneyland? Coca Cola? Google and Microsoft? But as far as my investment is concerned, I’d like to stick to my homeground companies, so I’m happy with London Stock Exchange. Here you find companies you want to invest money on. Now a new screen comes up – this is where you set the criteria, to find potentially prospectus companies. From the “Key Figures” dropdown menu (4 above) – choose Market Cap. (m). Click the “Key Figures” dropdown menu again (4 above again) – choose Net Debt (m). The middle dropdown menu “Deeper Analysis” (5 above) is very useful if you know financial management, or how to read balance sheet. I don’t expect non-accountants to, therefore I’ll ignore. Fro the right dropdown menu “Fundamentals (Financial reports)” (6 above), choose Profit – pre-tax (m). Market Cap, Net Debt and Profit Pre-tax are 3 things that I broadly check first, sort the data on CSV and shortlist the companies. Market Capitalization – broadly refers to the market value of the company. I would pick companies the size of between £50 million ($75m) – £1 billion ($1.5bn). These companies have better growth rates than larger companies, and anything below £50m/$75m can be unstable. Sort the spreadsheet by Market Cap, delete everything that’s outside this criteria. Net Debt – Most companies have a debt capital (e.g. borrow money from banks), the less debt they have, the better. Pre-tax Profit – how much profit they’ve made during the year, before paying Corporation Tax. I’d say Net debt : Profit should be 3:1 or so. If you were in debt by $30,000, but you would make a profit of $10,000 per year… In theory it would take you 3 years to pay off your debt. That’s quite a long time. So any company with the ratio of more than 3:1, I’d forget it. Save the CSV file as an Excel file. Sort the spreadsheet first by Market Cap, delete rows of company that are outside the criteria of £50 million ($75m) – £1 billion ($1.5bn). I’d like to compare the Net debt ratio against the Profit. In the last column (next to Pre-tax profit), I would put a simple formula = Net Debt / Pre-tax Profit. Sort the spreadsheet again by the new column and delete rows that returns >3. So here they are, a shortlist of companies that you’re potentially buying the stock of. Now there may be many companies listed in the spreadsheet – check one by one. You can check randomly or pick any interesting company names, or the least net debt / net debt showing minus (meaning they don’t owe anyone. They might owe someone but they have more than enough cash to pay it off). As I explained earlier, ADVFN would have detected the residence of your country, if you live in the States, the list would have filtered and picked only the companies listed in American/Canadian stock exchange markets. Go back to ADVFN website, click “Financials” at the very top menu. Type in the “Symbol” of the company you’ve chosen – the code of the company in the box here (image below). Or you can type the first 3 letters and it should come up with the drop-down example. I’ve just put “abc” as an example. 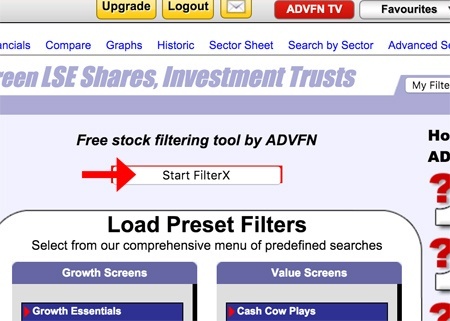 Select your company, then click OK.
You’ll see the abbreviation of each stock market exchange. LSE = London Stock Exchange, NYSE = New York Stock Exchange, CNSX = Canadian Securities Exchange and so on. Whether to check more information or not, is up to you. I would leave it, and pick another company from the Excel file but let’s keep on. Now go back to the top menu again – click “News” section, left to “Financials”. It should come up with a list of lots of news and official announcements. 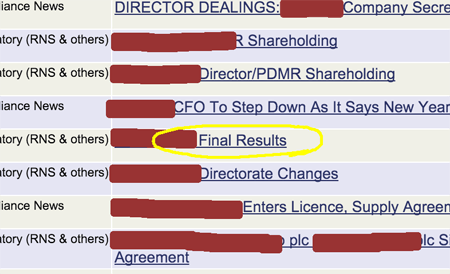 I’ve blacked-out the actual name….if you scroll down, somewhere within the last 1/2 year, you’ll see one named “Final Results” or “Annual Financial Reports” or “Interim Results”, where you’ll be able to see the financial reports. Try reading it. I wouldn’t expect you to read & analyse numbers. But if you read the actual write-ups, you’ll get the actual “feel” of it. If a company is doing brilliantly well (not the above company’s case, as it’s been going downhill for the last 1 year), in the report you’ll see words such as “we saw another successful year”, “exceeded expectation“, “prospect of high growth” – frankly good words. If not doing well, typically you’ll find words like “difficult” and “challenging“. I look at the numbers on Financial Reports and analyse myself, purely because I’m an accountant and interested in all sorts of margins & ratios. But I don’t consider this is essential as a beginner, because a lot of successful investors don’t necessarily know how to work these numbers out. They make the decision by reading the write-ups. Buying a company’s stock means you are becoming a shareholder. You will be a co-owner of the company, so you should be interested in everything that the firm does. What kind of company and what they do, at least! Therefore needless to say, you should check the company’s website quite thoroughly. Latest news, a short-term plan as well as 5-years plan should be listed on the site. Now you’ve decided to buy a stock of a company, you’ve registered with a stockbroker, you are ready to buy. This is what you do – very simple. Log on to your stockbroker site. Link your account to your bank account, so that you can transfer money to your stockbroker’s account. Transfer a lump sum – it may take 2-3 working days. How you transfer is just as same as any other bank transfer. You take your stockbroker’s account number, set the transfer on your bank account and transfer. There should be an instruction on your stockbroker’s site. 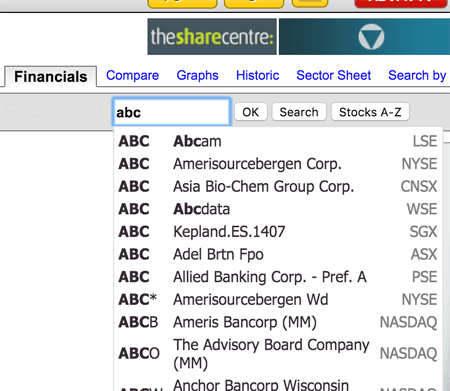 On your stockbroker’s site, select the company you buying the shares of, from the drop-down box. You’ll find the same stock code, e.g. ABC, with its company name. You will receive a confirmation from the broker by post. A copy of the share certificate can be obtained by the broker upon request. Put a stop-limit order! Then save. As explained below. You’ll receive an email from the stockbroker saying the transaction is complete. Stop-Limit Order, or Stop Order is there in case your company’s share price suddenly fall (due to some incident…political, fraud or any other scandals, or sudden shortage of products, the whole manufacture building’s burnt down… anything that would affect the company), you can put a limit to it. A company’s value is $5 per share, you buy 1,000 of them, so you pay $5,000. 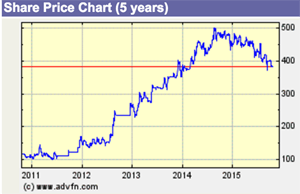 Without you setting a stop-limit oder, your stock value is only 1,000 x $1 = $1,000 now. You’ll either hope that the value will go back up to $5, or it may even go down further. With the stop-limit order, when the share starts to fall and reaches at $4.50, your stockbroker will automatically sell the stock back to you. You’ll only receive 1,000 x $4.50 = $4,500. But better than owning the share price worth nothing. At How Much Should I Set the Stop-Limit? This is up to you, how much you can afford to lose. I usually set it around 85% of the price I’ve paid for. But this depends on the size of money I’ve invested. With above example, $4.50 out of $5 is 90%. I would set it for $4.20 or so. $5,000 invested, if the price fell and received 1,000 x $4.20 = $4,200, would be a loss of $800. 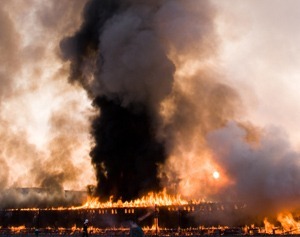 Not good, but that’s if some sudden disaster happened. If the share price started to fall slowly, I’ll think about it, give up and decide to sell before. Also how much you should set the stop-limit for depends how the company’s share price fluctuate. If it goes up & down by 3-5% easy, you don’t want to set it too high. With a little change in the market and the price falls, remember the stockbroker will automatically sell your precious shares and pay you back before you know it. Lastly, I’d like to repeat that buying stock shares is not a gamble. So if you have that sort of habit (!) I wouldn’t recommend it to you. As I mentioned a few times above, becoming a shareholder means you will be co-owning the company, so you should be aware of what’s happening in the company, its market and industry. You can sell the stock any time you like – when the price has gone up by 30-40%, it’s up to you. Or continue to hold the stock and receive dividends twice a year. I take it you don’t spend too much money yet as a beginner. Upon selling the shares, the profit you’ve made will be subject to Capital Gains Tax in the UK as well as US. However there is an annual exemption applies, which is £11,100 per individual in UK. Meaning if your profit is less than that amount per tax year (including anything else that you’ve sold other than the shares) it’s tax free. If you’ve had more capital gain (income from disposing assets), you need to consult your tax advisor. Also you can use ISA (Individual Savings Account) to invest up to £15,240 per year tax free in the UK. Your stockbroker can explain to you. I can answer generic questions for UK tax implications, so please feel free to contact me, but please note that legally I cannot take responsibility as your tax advisor.